It's concert season! Book your limo service to take you to and from the concert and let us do the driving! Please check out our wedding reviews by clicking on the button on the left. 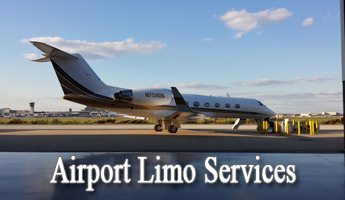 "For All Your Transportation Needs"
VIP Limousine offers professional and reliable transportation for all of your special occasions including Weddings, Proms, Bachelor Parties, Bachelorette Parties, Birthdays, Airports, Anniversaries, Bar Mitzvahs, Bat Mitzvahs, Casino Gateways, Night Out on the Town, Corporate Transportation, Atlantic City, Philadelphia, New York, all airports, business functions and any other occasions to make it a memorable one. We have professional drivers, provide prompt courteous service and very competitive pricing. Our New Jersey sedan, limousines and stretch SUV limousines are smoke free, clean and maintained daily. We accept all major credit cards and corporate accounts are welcomed. For further information, contact us at (856)429-2700 or (888)278-1210. "We're Available 24 hours a day 7 days a week"
VIP Limousine Services and Transportation, Inc.